Written in prison and based on real-life experiences, this is the novel that launched the writing and publishing career of the bestselling author of Still Dirty, Dirty Red, and Imagine This, the reigning "queen of urban fiction" (Publishers Weekly). 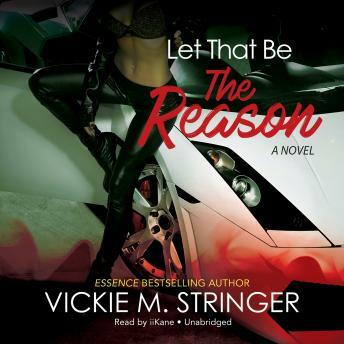 Vickie M. Stringer wrote Let That Be the Reason when she was still serving her seven-year sentence for drug trafficking. When she couldn't find a publisher, she printed the novel herself and sold it out of the trunk of her car. "I've exposed myself with the prayer that my life can be used as an example to warn others of the awful dangers of the drug game," she wrote in its afterword. Let That Be the Reason begins when a drug dealer abandons his girlfriend, Pamela Xavier, leaving her with nothing but a stack of bills, an empty refrigerator, and an impending eviction notice. Backed into a corner and with no prospects in sight, Pamela decides to get her hustle on. Transforming herself into Carmen, she learns to deal with the streets, the playas, the drug lords-and, of course, the law-by any means necessary. In no time, she is running a call girl service, a fencing operation, and a drug cartel, all while still being a mom. Carmen wants money, but she also wants happiness. The problem is that she doesn't quite understand what real happiness is and what real love means-or what it all costs. Let That Be the Reason is a true-to-life saga of a woman's love, ambition to survive, forgiveness, and salvation.